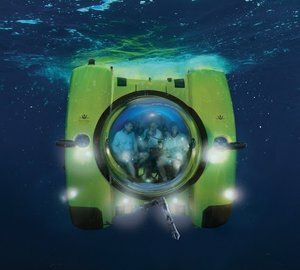 Expedition yachts are going further than ever before and in greater numbers, taking on the journey the ultimate on-board luxuries as well as cutting-edge water toys such as submarines like PROJECT NEPTUNE developed by Aston Martin and Triton. 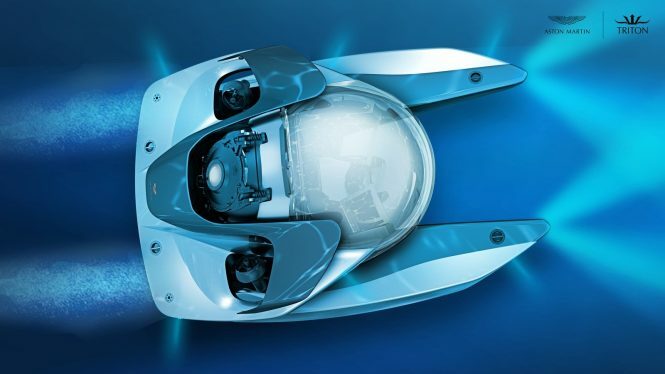 Submarines are rarely seen in water toys collections on private vessels or charter yachts, and PROJECT NEPTUNE is the ultimate statement in performance and luxury – an Aston Martin for the water. 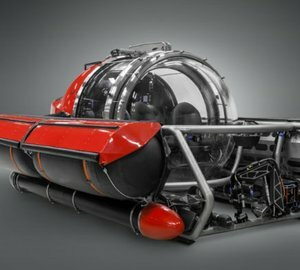 Originally announced at the Monaco Yacht Show in September 2017, the design has since been finalised and combines the refinement Aston Martin is renowned for with Triton’s technical expertise in developing underwater craft for leisure as well as research and film. The futuristic design has almost 360 visibility from the central pod, encompassed in an acrylic canopy and iridium coated exterior. 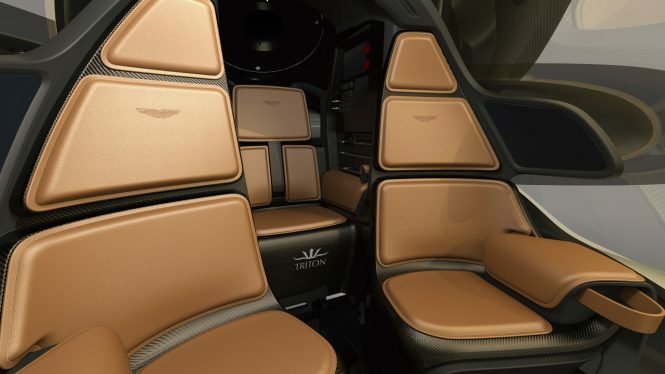 The interior was particularly challenging to put together, as technology and furnishings had to enter through the upper hatch then put together inside. The display model contains three seats finished in soft taupe leather with a carbon fibre backing, however owners will have three different style options to choose from, each with a different colour palette and complementary materials. For additional customisation Q by Aston Martin will be on hand. 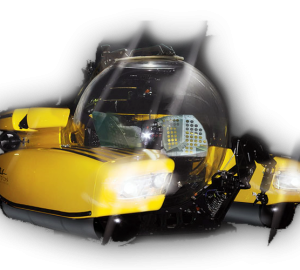 Capable of a depth of 500 metres/1640 ft and a speed in excess of of 5 knots through improvements to the hydrodynamic efficiency and power, PROJECT NEPTUNE offers a privileged glimpse into the underwater depths for two passengers and a pilot. 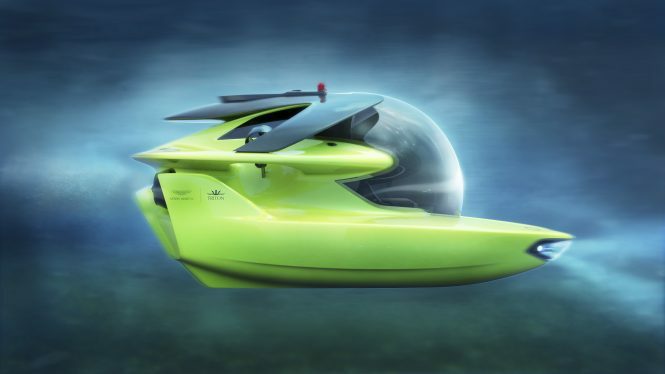 Visitors could see PROJECT NEPTUNE up close at the LYBRA Superyacht Show in Barcelona, Spain, from 2nd-5th of May, and Aston Martin and Triton are now taking orders with prices starting from $4 million USD. 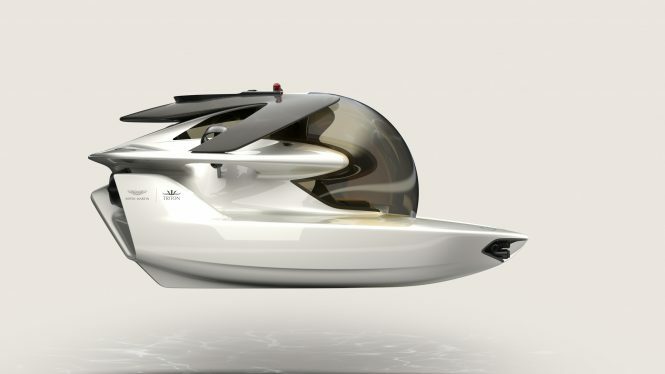 View a selection of charter yacht with the coolest water toys. 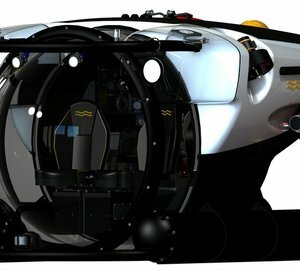 Please contact CharterWorld - the luxury yacht charter specialist - for more on superyacht news item "Project Neptune: The ultimate Aston Martin submarine".